Under counter & kick board lights give this kitchen the WOW factor! 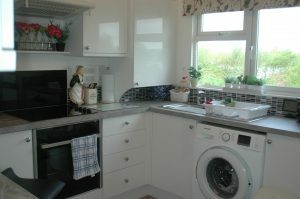 Mrs Pearce had a solid kitchen carcass but wanted to update her kitchen. 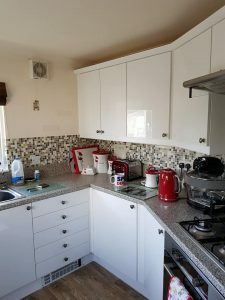 She opted for replacement worktops and cupboard doors that have given her kitchen a completely new lease of life! 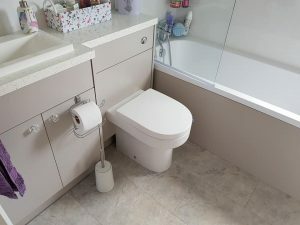 Fran’s bathroom was completely stripped out, a wall moved to accomodate a bath and a new vanity suite and flooring fitted. Mr & Mrs Parsons had a shaker style kitchen. 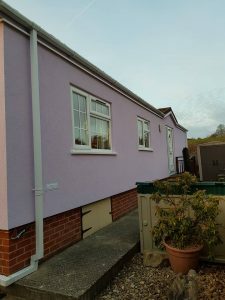 The units themselves were in good condition but they felt they wanted to change to something a bit more modern without having the expense of replacing the whole kitchen. 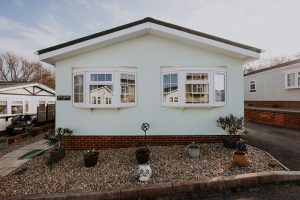 Mr & Mrs Pitwell came to Black Box as they wanted to modernise the exterior of their park home, improve its energy efficiency and retain warmth.